Daisy looks just like Buffy in season four: a stylish freshman with more on her mind than Psych 101, she checks around every corner for rogue soldiers, monsters and more. 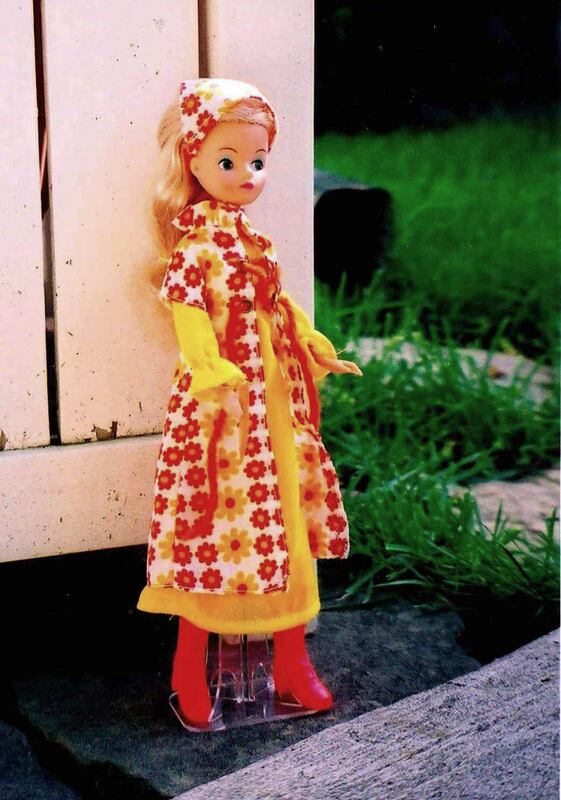 Actually, Daisy's wearing Sunflower, an outfit made for the Disco Girls dolls, who were the European variation on Hasbro's Love and her friends. My film turned the burnt-orange colours in the outfit red. The boots are actually extraordinary, a near-fluorescent shade of peachy orange.